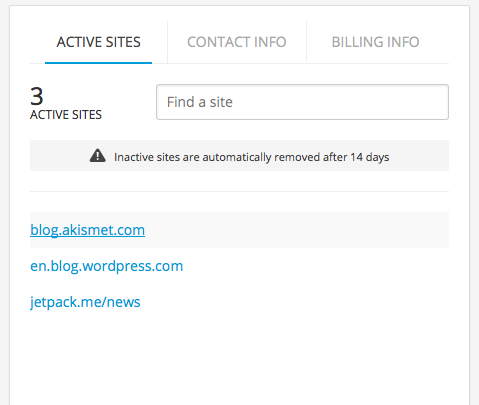 All Akismet subscriptions include access to statistical data regarding their usage and activity. To access stats for any of your sites, simply visit your account dashboard and click on a site found within the Active Sites card. This will open the stats for that particular site in a brand new browser window. You can view monthly (monthly and daily if you have any subscription above Basic), annual, and historical stats. You can further customize the chart by selecting any data type (spam, ham, missed spam, or false positives) and removing it from view.